Cuddledown is known as one of the highest-quality producers of home lifestyle products that include pillows, bedsheets, and comforters. It works to produce handcrafted products that are sold all over the United States. Cuddledown’s products are available in different retail stores all over the country as well as in its own outlet stores located around some of the states. The company is committed to serving the needs of its customers when it comes to producing high-quality home furnishing products. It started off in the year 1973 with producing comforters for the people of the country. Ever since, it has moved to other products that include sheets, blankets, towels, and even sleepwear. Being certified with the quality of the products that it sells, Cuddledown is known as a trusted and famous producer of home furnishing in the country. Every such company has outlet stores spread around the country. Cuddledown’s main outlet store is located in Freeport, Maine. 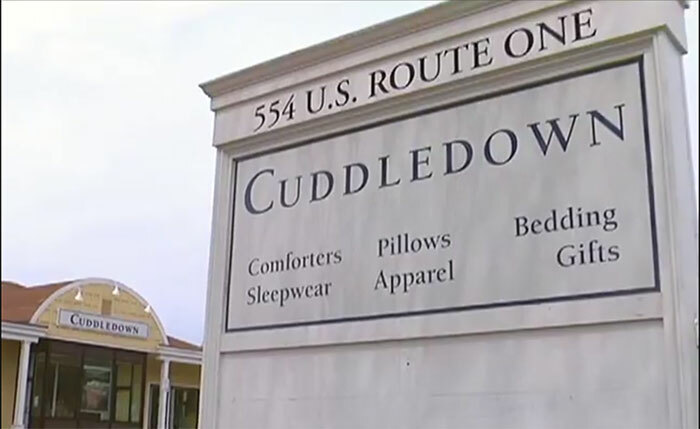 Everyone in the area is well-aware of the significance of the store, and those visiting are highly recommended to stop by and check out the Cuddledown Outlet Store in Freeport. Being located at a convenient spot, the store tends to be home to the finest Cuddledown products that you could look at and choose from. It has stocked a wide variety of home furnishing products that include sheets, sleepwear, comforters, pillows, apparel, and anything else that can be grouped in this category. Moreover, the Freeport Cuddledown Outlet Store is known to allow for a large amount of savings when it comes to shopping. Customers can find up to 70% discounts if they are lucky. Furthermore, there are a variety of unique gifts and merchandise present in the store that are not found on its online catalog, making the customer’s visit even more exciting. It is easy to locate the Cuddledown Outlet Store in Freeport, Maine, given that it is located just off the freeway. One can visit it from either the north end or the south end from Portland. The store is located next to Buck’s Naked BBQ. If you’re driving from the north, the directions you would need to take are to head onto Route I-295 and watch out for Exit 20, which hits Downtown Freeport. You then take a left turn to Desert Road and a right turn at the traffic light onto Route 1 South. Coming from Portland from the South, you can get onto Route I-295 and head for Exit 20 once again. Then, take a left to Desert Road and a right to Route 1 South like before. Being home to the highest-quality comfort home furnishings in the United States, Cuddledown has surely kept up its quality within its products that can be seen in its outlet stores. Make your home experience better and visit its store to check out its products. It will only help you move toward a more comfortable lifestyle!